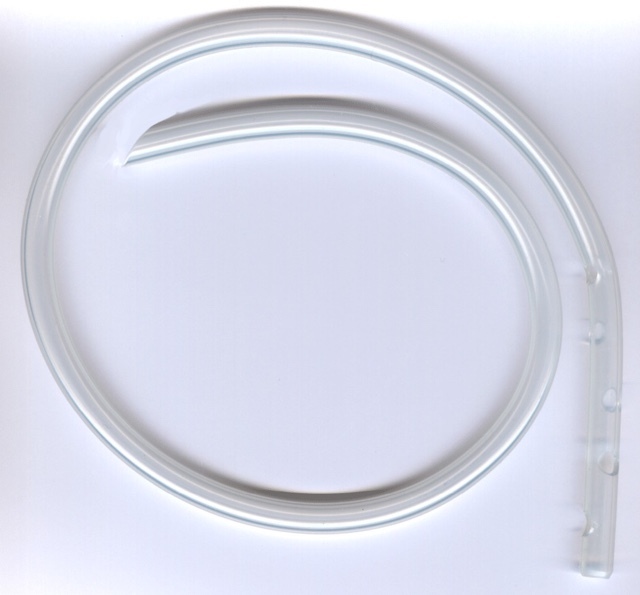 MED X-Ray Drain Silicone drainage for use in the operating room. Produced in soft, biocompatible and hydrorepellent silicone. Considering that the new European Directive 93/42 has imposed limitations on drainages created on site in the operating room which are made from PVC or Medical Grade Silicone in roles, the need has been created for the medical industry to develop a series of special drainages, already sterile and ready for use, which are capable of satisfying the needs encountered in the operating room. These types of drainages are particularly used in abdominal and thoracic surgery, and have different requisites from standard drainages both with regard to length, softness and the extension of perforations. Packaged singularly in double sterile (gamma ray) packaging. One box contains 20 pcs.